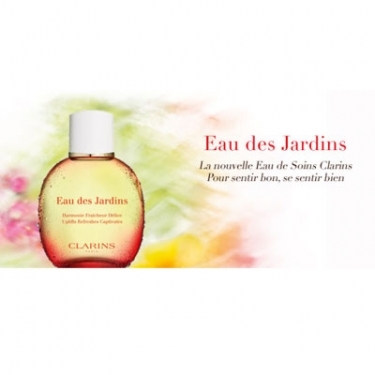 Eau des Jardins is a Clarins fragrance to provide the utmost freshness, harmony and pleasure to your body. This formula combines the aroma and phytotherapy benefits of essential oils and plants. 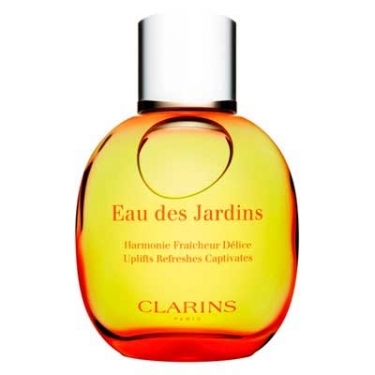 Contains notes of grapefruit, lemon, bergamot and orange to give a burst of sparkling freshness to face and body. Calms and soothes with blackcurrant extracts and hydrates with beech bud. Skin feels hydrate and calm with a lavish exquisite softness.